The capital of Azerbaijan, Baku, is a dynamic, fast-growing city in which Islamic, Soviet and postmodern architecture merge into a beautiful and unified whole. It is a chaotic, but at the same time energetically charged interlacing of medieval streets of the Old City and modern projects on the embankment. Beautiful architectural ensembles were created in the most prominent places in Baku, new beautiful modern buildings defined the appearance of the capital. The absolute majority of these buildings were built on the initiative and with the active control of National Leader Heydar Aliyev. He made an invaluable contribution to the preparation and approval of the master plan for Baku. Having shown real foresight from the point of view of urban planning, he played an important role in the long-term development of the capital of Azerbaijan. The numerous industrial enterprises, infrastructure facilities and transport system created at that time in Baku and around it laid a solid foundation for strengthening the present independence of Azerbaijan and its economic development. The Azerbaijani government continues to take measures to improve urban planning nowadays. 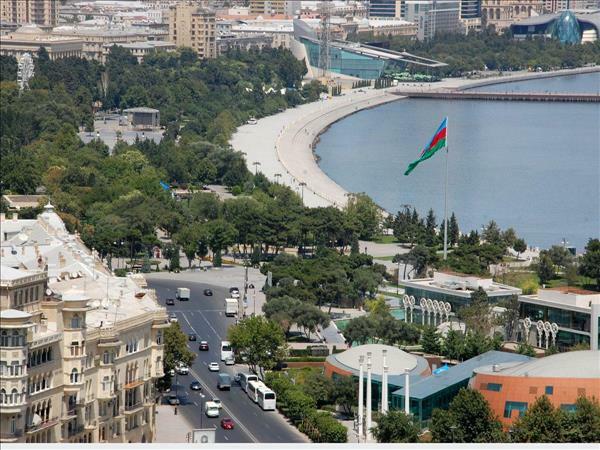 The implementation of the second stage of the development of the General Plan of the Baku City starts in Azerbaijan, the deputy chairman of the State Committee for Architecture and Urban Planning Dovlathan Dovlathanov told Trend. The Chairman of the State Committee noted that the first stage of the General Plan, which implies a development concept, has already been completed. "Initially, the development of the General Plan of the Baku City was divided into several stages. Now the State Committee is finalizing the selection of a consultant for the second stage. We plan to choose a well-known international urban organization with extensive experience in this field. We will have an open tender for this. We are working with a consultant to the Boston Consulting Group presently. This organization helps us in preparing tender documentation for the selection of a consultant in the second stage," Dovlathanov said. He said that a tender announcement on the choice of an international consultant for the development of the General Plan of Baku will be announced in November. The Boston Consulting Group (BCG) is one of the three most respected strategic consulting companies in the world, called 'The Big Three. It was established in 1963. Today, BCG has a global network of more than 90 offices in 50 countries, and BCG clients and partners are organizations from the private, public and non-profit sector in all regions of the world.BCG has a huge experience in implementing projects in various areas of urban development: over the past 5 years alone, more than 550 projects have been implemented on urban development planning and zoning, development of a comfortable urban environment, urban mobility, employment transformation, infrastructure development, transport and tourism, social spheres and industry clusters.Recently, this company has successfully implemented projects for such large cities as Moscow, Kiev, Beijing, Stockholm, Boston, New York, etc. The development of the General Plan of Baku is conducted by the State Committee together with the BCG in two stages. At the first stage, diagnostics of the relevance and completeness of the already developed documents of the city planning and territorial planning of the capital, primarily the projects of the Regional Development Plan for Greater Baku and the Plan for the Use of the Territory and Zoning of the City of Baku, is carried out. The concept of development of the Baku City is refined, taking into account international practices and experiences of different cities of the world. It is emphasized that this joint work takes into account the development priorities of the country, the need to improve the infrastructure, the requirements for the development of priority sectors.Also, at the first stage, an assessment of the need to clarify the legislation of the Republic of Azerbaijan in terms of town planning norms and rules is made. Along with this, sectoral plans for the development of the Baku City are studied. They are prepared by the relevant government departments that participate in the implementation of the master plan, and work will be carried out on their integration and relevant clarifications. According to the results of the work carried out at the first stage, relevant project tasks and requirements will be prepared to attract highly qualified foreign and local organizations and experts in urban planning and architectural planning, protection of monuments, engineering communications, social infrastructure, environmental issues and other areas to refine the General Plan of the Baku City. At the second stage, theCommittee, together with BCG, will finalize the capital master plan with the assistance of reputable urban planning, architectural, engineering companies and experts based on the requirements developed at the first stage. In accordance with the requirements of the current legislation, after coordination of the master plan of the city of Baku with the relevant state bodies and holding its public discussions, the document will be submitted for approval to the Cabinet of Ministers.